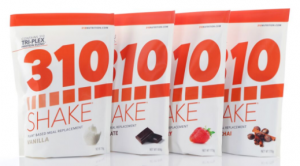 One of the best meal replacement shakes that we’ve found – graded for a mix of superior ingredients, great taste and proven effectiveness based on glowing user reviews – is 310 Shake by 310 Nutrition. Which is why this product has earned our #1 spot for weight loss diet shake this year. At the end of this review, we think you’ll be more than just a little intrigued to actually try this product for yourself, especially since it’s been shown to make such a difference in so many people’s lives. 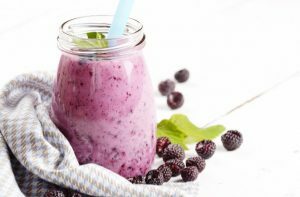 So read on to discover the nitty gritty about this popular weight loss shake, and what we believe sets it apart from other meal replacement shake competitors in this field. Why? 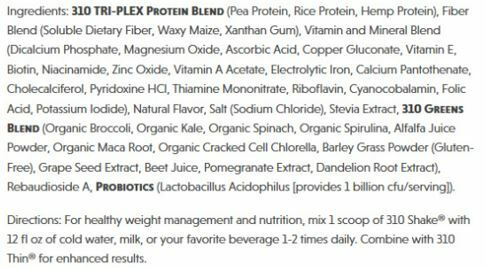 The unique plant-based and whey-based Tri-Plex protein blends that the company offers, the superior taste of their new formulas, the added ingredients for overall health, and the fact that their new plant-based shakes are ALSO sugar-free along with being vegan (no dairy, soy or gluten). 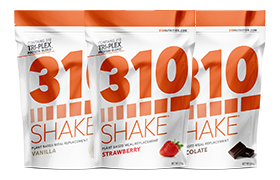 The new plant-based 310 shake (an enhanced formula) currently comes in a variety of tasty flavors including Chocolate, Vanilla, Strawberry, Salted Caramel, Mocha and Vanilla Chai. 310 offers tons of customer testimonials on their website – both regular consumers and even celebrities. It’s fair to say that 310 Shake has garnered a ton of attention and really does live up to the hype. 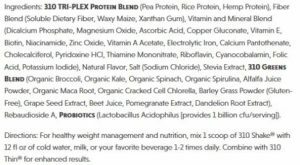 As you can see, there is a special Tri-Plex blend of plant-based proteins, a great amount of fiber, an abundance of vitamins and minerals, and even a ton of superfoods. And for all that targeted nutrition, it’s still extremely beneficial to the waistline with only 90 calories per serving! 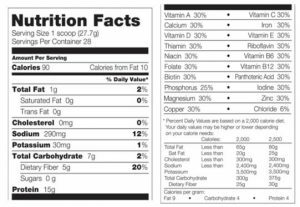 You also don’t see any sugar, artificial sweeteners, fructose, carrageenan or any other potentially harmful or controversial ingredients. One of the many things that people seem to love about 310 Nutrition’s new formula is the all plant-based proteins that make up its Tri-Plex™ protein blend. The proteins – pea, brown rice, and hemp – are all backed by studies showing their effectiveness in helping people lose weight. They also offer numerous health benefits, since all three proteins are good for the body and provide invaluable nutrients. Plant proteins have also been known to be extremely digestible and easy on the stomach as well as highly absorbable, for the best results. 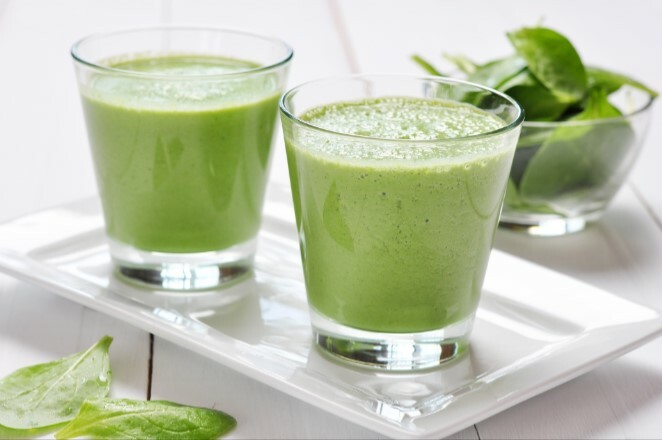 Pea Protein: Helps users stay full and may reduce their cravings for sugar. Helps build muscle and may decrease belly fat. Hemp Protein: Helps raise metabolism to speed up weight loss. Contains lots of fiber and omega-3s important for overall health. Brown Rice Protein: May help with fat loss and lowered cholesterol. Research has shown it can help with muscle recovery. 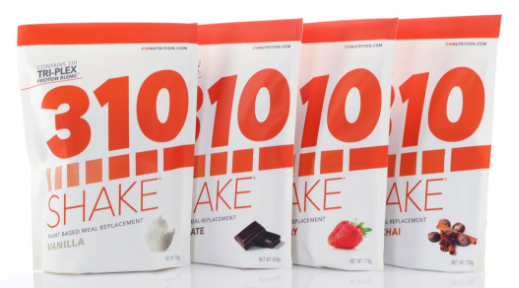 According to many user reviews, people absolutely love the taste of the new plant-based 310 Shakes! As mentioned, the shakes contain no sugar but are flavored with natural sweeteners and advanced technologies utilized in the manufacturing process make the new shake flavors richer, creamier, and even more flavorful. There is no “protein shake” aftertaste, and the shakes can be enjoyed with just water or another beverage OR with the addition of other healthy ingredients, and taste great either way. 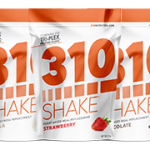 310 Nutrition suggests that for weight loss purposes you replace two meals per day with 310 Shakes, however you can also replace one meal per day for weight maintenance purposes and ongoing use. You are also allowed to have a few healthy snacks each day, but the goal should be to keep your total calorie count low for the best weight loss results. You will also have a better outcome if you adopt a clean eating plan along with taking 310 Shakes, as well as an exercise plan, as part of a healthier lifestyle. The company also offers many other additional weight loss supplements on their website that you can take alongside 310 Shakes. And there is also an online 310 Nutrition Community where you can easily connect with others on similar weight loss journeys, share advice, recipes, exercise tips and more, plus get personalized insight from certified 310 Nutritionists. What Else is in 310 Shake? Vitamin and mineral blend – What good is a diet shake that replaces a meal if it doesn’t have the vitamins and minerals a person needs from that meal? We thought so too, which is why we highly award this proprietary blend of 20 essential vitamins and minerals in each shake (most at 30% of the daily recommended value). Powerful superfood greens blend – Life is busy and it can be hard to get the fruits and vegetables you need, which is why 310 Shakes include some powerhouses in this category including organic broccoli, kale, spinach and more. Probiotics (1 billion CFU per serving) – Needed for good digestion and a healthy immune system, each 310 Shake offers gut healthy good bacteria known as probiotics in each serving. 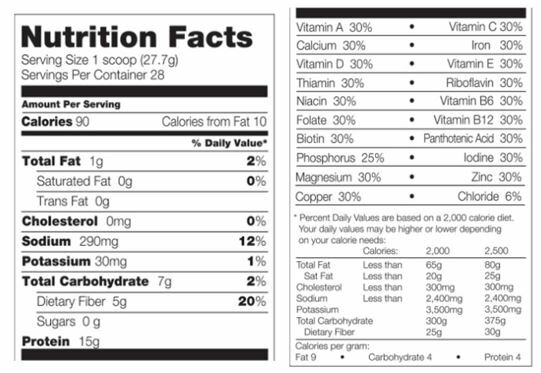 310 Nutrition has several different purchasing options. 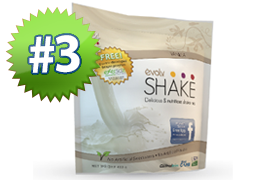 You can purchase 310 Shake alone, or as a package with other 310 weight loss supplements. One bag of 310 Shake containing 28 servings costs $68. That translates to around $2.43 per serving, which considering it is replacing a meal which on average will cost much more, is a steal in our opinion. There are many weight loss programs and some shakes that cost much more. The company offers an Autoship feature which reduces the cost of the shakes and other products each month for people who sign up. The company also offers a rewards program for people who set up an account on the website, where people receive rewards which turn into points they can use as cash. 310 offers a 30-day money back guarantee, which means that they are so sure of their products that they guarantee if you aren’t satisfied with them, they will completely refund your purchase with return of the product within 30 days. After sorting through the facts, we have named 310 Shake as one of the top weight loss shakes in the industry, and for the purpose of this review site, the very top shake. We came to this conclusion based on powerfully effective and healthy ingredients, and an all-around nutritious and well-balanced shake for overall wellness as well as weight loss. We also think the shake is an incredible bargain for all that it offers. Check out the meal replacement shakes and other weight loss supplements by 310 Nutrition on their website at www.310Nutrition.com. I tried many shakes and Shakeology has always been my favorite. I gave 310 Shake a try because it cost much less and I’ve also heard good things about Triplex proteins. Long short 310 Shake is really working for me. I’ve lost 14 pounds in 2months and I’m feeling better than ever. I have not changed my eating routine other than adding a shake in the morning and afternoon (which makes me much less hungry). I encourage you to give this a try, it’s the best bang for the buck. I really like the taste of 310 Shake so it’s easy for me to lose weight. I really wanted to get off Soy shakes because of the dangers and really wanted to get off anything artificial. Finding something that was under $3 a serving was difficult as all the cheap shakes all contain SOY. 310 Shake was the first shake I found in the $2per serving price range that took out all the bad and replaced with all healthy. Big fan! I’m a school teacher and am really hard pressed for time. A friend told me about 310 Shake and how it worked for her. I got hooked quickly as it simply works… my appetite is significantly suppressed during the day and I have much more energy when I get home. I’m excited to continue with this product. I’ve been on the new recipe of 310 Shake for a 2wks now and I feel this stuff is really making a difference for me. I’ve lost 8 lbs as a result of replacing qty 2 meals a day which really isn’t as hard as I thought it would be. I still eat my normal dinner. If I can keep this up I really believe I’ve found my holy grail! Did I mention this stuff taste great. I have used Shakeology in the past and don’t like the awful taste, therefore always found a way to skip the shake. 310 Shake taste much better and I really look forward to drinking it, almost like my morning coffee now. I’m sold. I’ve lost 32 pounds in 2 months on 310 Shake. It hard to believe that a shake this good for you taste so good! This is without a doubt the BEST TASTING meal replacement shake I’ve had and it’s healthy. I’ll drink 310 shake forever. Graet review. 310shake is the best shake to buy, it has all the recommended factors, i know you get what you pay for but the price is pretty steep for me. We would recommend qty 2 shakes a day to get the results you are looking for. I have to update because I just went to the 310 website. It looks like I could buy four bags for $189. That’s not as bad as I thought. Props to them! A great shake for a meal replacement been using this product for ~3 months.I have mix it many ways juice ,yogurt,fruit,fruit /veg smoothies all good. All in all a great product in my quest to lose wt. I have use many protein drinks,this is definitely one of the better tasting. I’ve been using the shake for two meal replacements a day for a month and I have lost 10 lbs and I am very happy. I mix it with unsweetned almond milk or unsweetened coconut milk and I either mix it alone or with yogurt and or fruit. Most folks like to have a shake in the morning and shake in the afternoon, this is best for maximizing results and jumpstarting your metabolism. Hi Shannon, 310 used to be sold via Amazon. If it’s not now we’re not sure why. We’ve posted your very same question in there email box. We are always reviewing new shakes and hope to evaluate these folks soon! 310 Shake has posted a release date of 7/14/2013 for Canada release. Please post your question to 310 Nutritions webiste. Ok I must agree the shake really taste great and it does keep me full for several hours. I have been using this product twice a day for 4 weeks. I have included rigorous exercise 5 days a week whereas before I was doing none. I cut out bread, and drink water in ouncse for half my weight. And I have not seen any difference in my weight. Its still exactly the same. Am I the only one? Should I give it more time? I just borrowed some from my friend before I went out and bought some of my own and I love it! I just mix it will juice/milk/fruit! So far it has curbed my appetite but its only first day! I am very picky about taste. If it taste just OK or the texture is chalky, I won’t drink it. I am in love with 310! Actually to the point I’ve run out and I think I’m having withdrawals! A little ice, a tablespoon of cocoa powder, a little almond flavoring, a little peanut butter and almond milk. It is my breakfast every day, my snack every afternoon, sometimes it’s my lunch as well. Thank you for making such a great product for someone as picky as me. I can’t wait for my new order to come in. P.S. I got my 23 y/o daughter on them too, she loves them just as much as I do! where can i get 310 shake in indonesia ? Can I take this shake if i am lactose intolerant? 310 Shake, like many, claim to be low lactose meaning it’s probably ok to take. However if you have serious issues with lactose you may want to consider a plant based shake (pea, rice, hemp, etc)….as they are all lactose free. Although results vary from most of these shakes real all natural ingredients make a huge difference in your weight loss efforts. 310 Shake will give you the best chance at this. Diet and exercise are always the cornerstone to healthy long term weight loss. Meal replacement shakes can make the task much easier. Many nutritionist agree that a meal replacement shake for breakfast can boost your metabolism as much as %20. Thats a big deal. Additionally they fill you throughout the day making “correct” eating much easier. Water works great! Try 10-12oz. With proper diet and exercise this is very realistic. The proper meal replacement shake twice a day can make your efforts much easier as they reduce your caloric intake and many can suppress your hunger at the same time. Although we always recommend to consult your physician we believe you shouldn’t have any problem with Shakeology or 310 Shake on a beta blocker. Soy lecithin is very different that soy protein. Soy lecithin is an emulsifier that is found is most shakes which makes the shakes “soluble”. Most of the time it’s in trace amounts which deems it innocuous in most shakes unless you have a soy allergy. 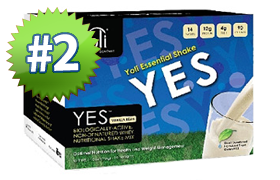 Again very different than soy protein which is often the core of most shakes. Can this shake be used for diabetics? I need to know actual nutritional facts before I buy this! I’m doing weight watchers so I need to know how many points a shake is going to be!!! Hi Jennie, we’ve been told 2pts. As it’s only a 90 calorie shake! I have tried all kinds of stuff just to loose 10 lbs. Fat Metabolizer, Garcinia Cambogia, you name it. 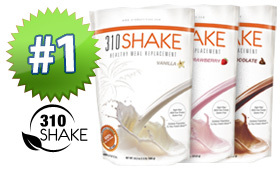 So, I am going to try the 310 Diet shake next week, since my co-worker said he has lost 21 lbs in a month. I do work out at least 3x a week on my abs/stomach and sides, but nothing has been happening in the last 8 months. I’ll be back to give my results after I give the product a chance. Is 310 ok for diabetics to take?? I would contact them directly but 310 Shake has little or no sugar which would be an ideal shake for diabetics. I ordered 310 bc I saw Kim from Housewives use this and heard her talk about it. It’s the best shake ever!! Tried Advocare and that didn’t really help my hunger. I have become a loyal customer, get the shake on a monthly basis, I also have the blender and I use the cleanse!! I’d give 310 Nutrition 10 stars!! !